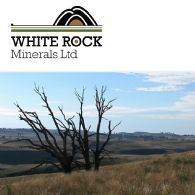 Big Un Limited (ASX:BIG) (OTCMKTS:BGGNF) is pleased to announce the release of its 4C results for the quarter ended 31 December 2017. 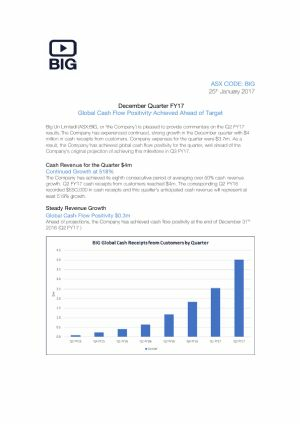 BIG achieved cash receipts from customers for the quarter of $22.5m (up 460% from Q2 FY17). Big Un Limited (ASX:BIG) (OTCMKTS:BGGNF) is pleased to provide an update to the market on cross pillar activity including the scheduled broadcasting of Wayfarer on Sky Business News, the establishment of a US based social media influencer team and the international roll-out of an experiential marketing campaign. Big Un Limited (ASX:BIG) (OTCMKTS:BGGNF) is pleased to announce the completion of stage one of the acquisition of the Tipsly consumer mobile app developed for the US drink and hospitality vertical. Big Un Limited (ASX:BIG) is pleased to announce the release of its 4C Cash Receipts from Customers results for the quarter ended 31 December 2017 (Q2 FY18). BIG achieved cash receipts from customers for the quarter of $22.5m. This represents an increase from the prior year quarter Q2 FY17 of 459% and an increase from the prior quarter Q1 FY18 of 50%. Big Un Limited (ASX:BIG) is pleased to announce that it has agreed to a strategic marketing partnership arrangement with US-based Zeta Global. Big Un Limited (ASX:BIG) is pleased to announce market guidance for Q2 FY18 following a continued strong sales results. Based upon excellent performance by the Company in November, BIG expects to achieve global cash receipts from customers in excess of $22m for Q2 (an increase of 447% from Q2 FY17 and a material increase of 10% on previous guidance). 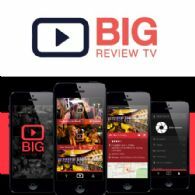 Big Un Limited (ASX:BIG) is pleased to provide an update on the development of a dedicated Big Review TV channel available on Apple TV. The Company has agreed its first sponsorship agreement with Australian based small and medium enterprise cash flow management platform Finstro. The Board of Big Un Limited (ASX:BIG) would like to thank our largest shareholder Anthony Meyer for his ongoing support including the recent increase in shareholding purchased on market in November. Big Un Ltd (ASX:BIG) Honoured to be Named #4 in the Deloitte Australia Technology Fast 50! Big Un Ltd (ASX:BIG) is honoured to be named #4 in the Deloitte Australia Technology Fast 50! Thanks so much Deloitte Australia for this accolade. 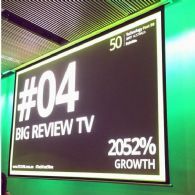 The Deloitte Technology Fast 50 Australia program ranks the 50 fastest growing public or private technology companies. The Board of BIG Un Limited (ASX:BIG) wishes to advise shareholders that it is aware of the recent fluctuations in its share price. Big Un Limited (ASX:BIG) is pleased to provide an update on operational and sales activity following US expansion in Austin, TX and Los Angeles, CA. This quarter, over 800 US customers have been on-boarded to date. Big Un Ltd (ASX:BIG) provides the Chairman&apos;s Address at 2017 AGM. Big Un Ltd (ASX:BIG) provides the Company&apos;s CEO Presentation at 2017 AGM. Big Un Limited (ASX:BIG) is pleased to announce that following a period of due diligence it has agreed to acquire US company Tipsly LLC. Tipsly owns a consumer app and platform (tipsly-app.com) developed for the US drink and hospitality space. Big Un Limited (ASX:BIG) is pleased to announce market guidance for Q2 FY18 following continued strong sales results. Based upon excellent performance by the Company so far this quarter, BIG expects to achieve cash receipts from customers in excess of $20m for Q2 (an increase of 398% from Q2 FY17). Big Un Limited (ASX:BIG) is pleased to announce the release of its 4C results for the quarter ended 30 September 2017. BIG achieved cash receipts from customers for the quarter of $15.0m (up 488% from Q1 FY17). Big Un Limited (ASX:BIG) is pleased to announce that it has entered into a partnership agreement with Australian News Channel Pty Ltd to broadcast the Wayfarer Travel Show series on its Sky News Business channel. Big Un Limited (ASX:BIG) is pleased to announce a partnership with HotCopper Holdings Ltd (ASX:HOT). The agreement allows HotCopper and BIG to jointly market BIG Finance video packages to users of digital marketing services on the HotCopper platform. Big Un Limited (ASX:BIG) is pleased to announce a partnership with Australasia&apos;s leading digital fundraising platform GoFundraise Pty Ltd. BIG and GoFundraise will jointly market BIG Cares video packages which will be integrated into GoFundraise&apos;s fundraising platform. The packages will be directly marketed to a GoFundraise database of over 5,000 not-for-profit organisations. BIG Un Limited (ASX:BIG) is pleased to announce that it has established a share sale facility for holders of small parcels of shares in the Company. Big Un Limited (ASX:BIG) is pleased to announce the development of a dedicated Big Review TV channel available on Apple TV for launch in November 2017. The channel will feature BIG&apos;s specialist 10 minute review shows covering health, beauty, lifestyle and travel. This will further drive revenue across the business model and the Company plans to develop similar dedicated Android channels for early 2018. Big Un Limited (ASX:BIG) is pleased to provide guidance on anticipated Cash Receipts from Customers for the quarter ended 30 September 2017 (Q1 FY18). BIG anticipate cash receipts from customers for the quarter of $14.99m. This represents an increase from the prior year quarter Q1 FY17 of 488% and an increase from the prior quarter Q4 FY17 of 60%. 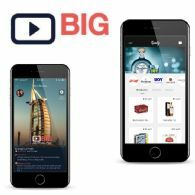 The core activity of Big Un Ltd (ASX:BIG) is the development of a global, video-driven ecosystem that targets B2B2C services by integrating video listings, social media and an innovative mobile video review application. Big Un Limited (ASX:BIG) is pleased to announce that it has completed the acquisition of the Hospitality vertical from The Intermedia Group (TIG). The acquisition provides BIG with advertising and sponsorship revenue of $6m per annum and a direct relationship with over 65,000 Australian businesses. Big Un Limited (ASX:BIG) is pleased to provide commentary on the substantial shareholding notices that were provided to the Company and lodged with the ASX on 22nd September 2017. Big Un Limited (ASX:BIG) is pleased to announce market guidance for Q1 FY18 following a continued strong start to the new financial year. Based upon the ongoing excellent performance from the BIG sales and production teams in August, BIG expects to achieve global cash receipts from customers in excess of $14m for Q1. BIG will continue to maintain cashflow positive. Big Un Limited (ASX:BIG) is pleased to provide an update on operational and sales activity following targeted US expansion in Austin, Texas during Q3/Q4 FY17. The establishment of a sales centre in Austin, TX has resulted in the signing of US customer contracts with an Annual Contract Value in excess of US$6m to date. Big Un Limited (ASX:BIG) (&apos;the Company&apos;) is pleased to announce the release of its 4E preliminary results for the year ended 30 June 2017. BIG achieved cashflow positivity for the year, driven by $21.5m in cash receipts from customers and other sources (up 429% from FY16). Big Un Limited (ASX:BIG) is pleased to announce an arrangement between The Beacon Foundation, a charity for young Australians, Coca Cola Inc. and Big Review TV Ltd. The Beacon Foundation has received a grant from The Coca-Cola Australia Foundation for filming career profiles that assist youths bridge the gap between school and employment. Big Un Limited (ASX:BIG) is pleased to announce market guidance for Q1 FY18 following a strong start to the new financial year. Based upon excellent performance from the BIG sales and production teams in July, BIG expects to achieve a cash receipts from customers in excess of $12.5m for Q1 (an increase of 390% from Q1 FY17). Big Un Ltd (ASX:BIG) is pleased to announce further sponsorship of its Wayfarer executive travel show. Marriott Hotels has joined British Airways in sponsoring further monthly episodes of Wayfarer currently in production and due for release during the remainder of 2017. Big Un Ltd (ASX:BIG) is pleased to announce the appointment of Jason Short as its Global Chief Technology Officer. As the Company focuses on its global IT capability and international roll out, Jason will lead a team of IT heavyweights utilising his extensive experience in the development of mobile technology, business intelligence and marketing technology for the American and global SME markets. Big Un Limited (ASX:BIG) is pleased to announce the release of its 4C results for the quarter ended 30 June 2017. BIG achieved cash receipts from customers for the quarter of $9.4m (up 411% from Q4 FY16). The result for the full financial year was cash revenues of over $21.5m (up 429% from FY16). Big Un Ltd (ASX:BIG) is pleased to announce that it expects to achieve a material increase on the previous cash revenue guidance. BIG previously announced guidance for Q4FY17 cash receipts from customers of $8.15m. As a result of continued strong sales results during June, the Company is revising this guidance to over $9m. Big Un Ltd (ASX:BIG) is pleased to announce that it has agreed to acquire the Hospitality vertical from The Intermedia Group. The acquisition will provide BIG with advertising revenue of $6m per annum and a direct relationship with over 65,000 Australian businesses. 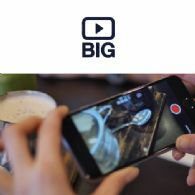 Big Un Ltd (ASX:BIG) is pleased to announce an agreement between Marriott International Inc. (NASDAQ:MAR) and Big Review TV Ltd for the Company to supply video content for the Marriott&apos;s newly released Marriott mobile app. The Marriott mobile app was released on February 9th this year to over 12 million Marriott Reward Members and delivers dynamically adjusted content to its users. Following the process of due diligence, Big Un Limited (ASX:BIG) wishes to advise the market that it will not proceed with the proposed acquisition of Pricemaker Ltd through the staged transfer of 15.5m shares at $0.20 as previously announced on 22nd November 2016. 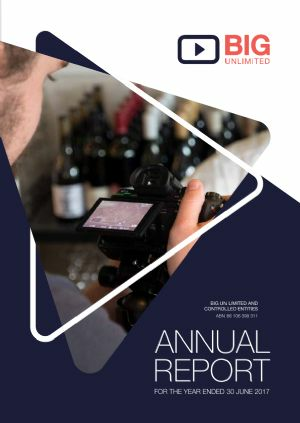 Big Un Ltd (ASX:BIG) is pleased to provide a guidance update on cash receipts anticipated for FY17 of $19.5m excluding receipts from BHA Media Ltd (BHA). Receipts from BHA are anticipated to be in excess of $0.8m and provide the Company with combined results for full FY17 of $20.3m (an increase of 399% on FY16 of $4.1m). Big Un Ltd (ASX:BIG) is pleased to provide the Company&apos;s latest Investor Presentation on quarterly update. Big Un Limited (ASX:BIG) is pleased to announce the release of its results for the quarter ended 31 March 2017 (Q3 FY17). 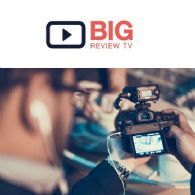 Big Un Ltd (ASX:BIG) is pleased to announce that it has entered into brand ambassador arrangements with two separate industry leaders who will actively promote and endorse the use of Big Review TV video technology products to their respective SME&apos;s and celebrity audiences. Big Un Ltd (ASX:BIG) is pleased to announce that it has completed the acquisition of BHA Media Pty Ltd, the beauty, hair and aesthetics subsidiary of The Intermedia Group Pty Ltd.
Big Un Limited (ASX:BIG) (BIG or &apos;the Company&apos;) is pleased to announce that it has signed the Share Purchase Agreement to effect the acquisition of BHA Media Pty Limited (BHA), the beauty, hair and aesthetics subsidiary of The Intermedia Group. Completion will occur on 31st March 2017. Big Un Ltd (ASX:BIG) is pleased to revise the previous revenue guidance for cash receipts from customers of $4.27m in the quarter to $5.20m by 31 March 2017, an increase of $0.93m on forecast excluding acquisitions. This is anticipated to represent the ninth consecutive quarter of growth for the Company. Big Un Limited (ASX:BIG) (&apos;the Company&apos;) is pleased to announce the release of its results for the half year ended 31 December 2016 (H1 FY17). 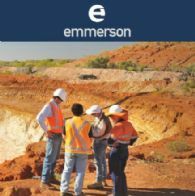 The Company&apos;s annualised contract value (ACV) has grown 1056% from the same period last year to $12.8m. Big Un Ltd (ASX:BIG) present the Half Year Accounts for the period ending Dec 2016. 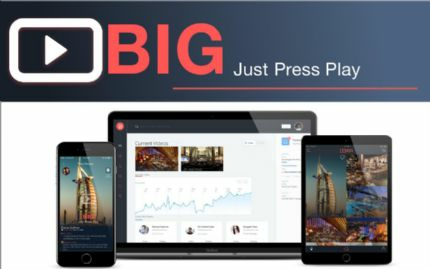 The core activity of the company is the development of a global, video-driven ecosystem that integrates video listings, social media and an innovative mobile video review application. Big Un Limited (ASX:BIG) is pleased to announce the release of the first episode of "Wayfarer" an executive travel series produced by Big Review TV as part of the joint venture partnership with The Intermedia Group. The "Wayfarer" series will air on BIG&apos;s video platform, Intermedia&apos;s platforms and on Big Review TV&apos;s dedicated YouTube channel. Big Un Ltd (ASX:BIG) is pleased to provide commentary on the Q2 FY17 results. The Company has experienced continued, strong growth in the December quarter with $4 million in cash receipts from customers. Company expenses for the quarter were $3.7m. As a result, the Company has achieved global cash flow positivity for the quarter, well ahead of the Company&apos;s original projection for Q3 FY17. 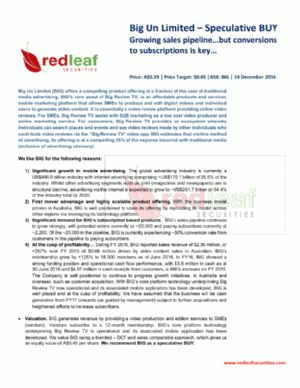 Big Un Limited (ASX:BIG) (BIG or the Company) is pleased to announce that Red Leaf Securities an Australian brokerage and research house has issued a Research Report on the Company. Big Un Ltd (ASX:BIG) is pleased to announce it has formed a Joint Venture with The Intermedia Group (TIG) to co-develop, produce and promote online TV shows.